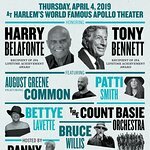 Exploring The Arts (ETA), the nonprofit organization established by singer Tony Bennett and his wife Susan Benedetto, has announced the distribution of over $300,000 in college scholarships to New York City graduating high school seniors in 2012. 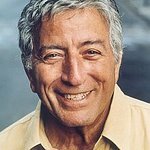 Through Exploring the Arts’ “Tony Bennett Scholarship” program, 43 12th graders at ETA Partner Schools in New York City – all public high schools – will be awarded funds to help pay for their freshman year at 4-year colleges. Recipients will be attending such liberal arts colleges and conservatories as Rhode Island School of Design, The Boston Conservatory, Spelman College, Smith College, New York University, and North Carolina School of the Arts, along with a variety of CUNY and SUNY schools. Additionally, ETA has also awarded 51 rising 11th and rising 12th graders at ETA Partner Schools approximately $60,000 through its Susan’s Summer Scholarship program, which underwrites the cost for students to study the arts at pre-college/pre-conservatory summer programs for teens. Awarded students will be attending programs at the School of Visual Arts, Fashion Institute of Technology, New York Film Academy, The Ailey School, Earl Mosley’s Institute for the Arts, Pratt Institute, and Litchfield Jazz Camp, among others. Since Exploring the Arts’ inception they have awarded over half a million dollars in college scholarships and $100,000 in summer arts scholarships.